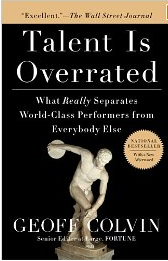 I recently finished reading “Talent is Overrated” by Geoff Colvin. Below are the quotes I found useful and applicable to the entertainment industry. As always, if you find the quotes useful, please read and buy the book. If you want to read the whole book, you can buy it here.